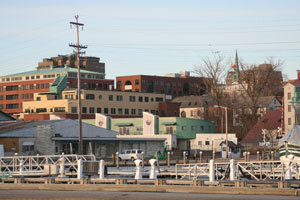 Burlington is home to over 40,000 residents and is located on the northwestern tip of Vermont. There are numerous advertising opportunities throughout the city. The University of Vermont is on location perfect for out-of-home advertisements that will allow you to reach hundreds of potential customers. Target your audience with outdoor advertisements or mall advertisements near the Church Street Marketplace or the Burlington Town Center Mall which is located downtown. Annual events like A Festival of Foods bring in 25,000 attendees and can be utilized to expose your business. Billboards on I-89 or I-189 also generate high traffic exposure. Zip Codes: 05401, 05402, 05405, 05406.